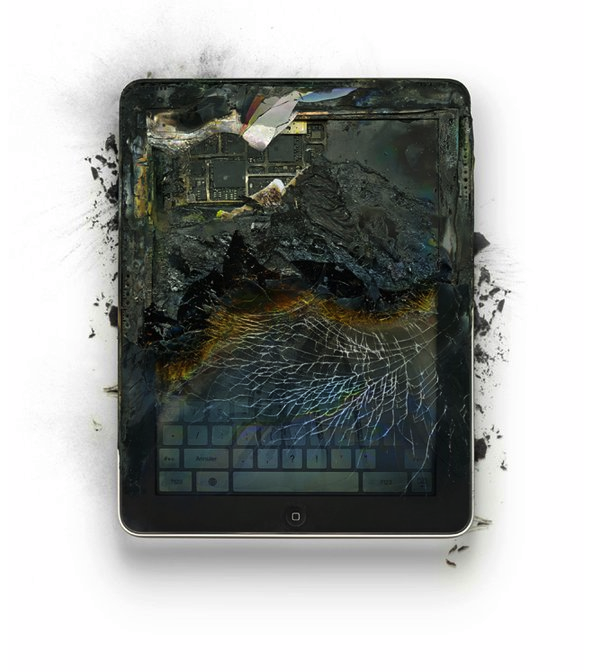 Icky Theory: Kindles and iPads and Fire, oh my! The first rumour was of free ebook subscriptions coming bundled with Amazon Prime on the (then unannounced) Fire. Of particular interest to me (remember I’m a creative writer too?) was the discussion around just how authors were going to be paid for this? Valente talks of it as a rights grab by Amazon. And of course it could go very bad, with authors cut out of the Amazon-pub deal—the money being earmarked as ‘promotional’ and not actually royalty… however, as I see it, this is likely to play out with authors and agents developing collective bargaining agreements with publishers for pro rata cuts of the licensing dollars. Keep in mind that Google would likely support publishers/authors here, as a strategic move versus Amazon—Google lives on full indexing of content of course, and they would not want to give that away to Amazon so easily. The other very interesting discussion (and to my shame, something I hadn’t even considered) was Maguire’s Digital divide writing about ebooks and poverty. She says when she hears “”print is dead, traditional publishing is dead, all smart authors should be bailing to the brave new electronic frontier,” what [she] hear[s], however unintentionally, is “Poor people don’t deserve to read.”” Basically, what she’s saying is that not only are ereaders expensive, but that the shift toward primarily digital text destroys the secondhand market which is such a boon for a disadvantaged young girl. I tweeted about an ‘exchange-only’ publisher-subsidised print run of books. This would promote keeping people on reading new work, whilst not ‘flooding’ the market with print books. Of course, you would be able to buy these prints originally, but this would also allow the publishers to take a hold of the gray secondhand market, in a way that they’ve always whined about. From my own creative writing, I also talk about a future ubiquity of cheap ‘feeders’ in public spaces like hairdressers. Cloud-based windows on a user-engaging ‘metatext.’ The ‘new social’ of reading. There are some beautiful potential moments coming from this, with bookstores like Barnes and Noble turning themselves into ‘reading rooms’ where perhaps you can ‘borrow’ ereaders and read all the books free (‘sample them’), it allows a renewal of social reading. What this brings back as an attendant issue, however, is the payment of authors, and indeed the perceived value of the totality of books—what is the worth of a ‘new’ (and expensive) ebook to a general reader when instead they could access so much public domain or cheap/free self-pubs? Bibliotek talks about the social aspect of reading and a cultural economy of ownership of comments. While the ‘feeders’ may be cheap and disposable, and there may be plenty of content… all this is dependant on using the content for leverage in selling hardware and longtail ‘in-app’-style purchases. Enter Stein’s connected book where the ‘book’ becomes a nexus for interaction—not only between readers, but with the authors. This is a trick: how to provide interactive value, communal value to content which is otherwise equivalent to free material. And where cheap ereaders and free content fall down—is that while you can read them, without signing-in with your ownership, you cannot contribute to any of it. Is this the new poor? To be locked out of the social agora of the connected book? *I could write about the ‘amazing’ new Kindle Fire, but primarily I still think it’s a better ereader than anything else, and that the eink Kindle is a better ereader than that. Amazon’s great innovation has always been their 3G connectivity, and the Fire doesn’t have that.